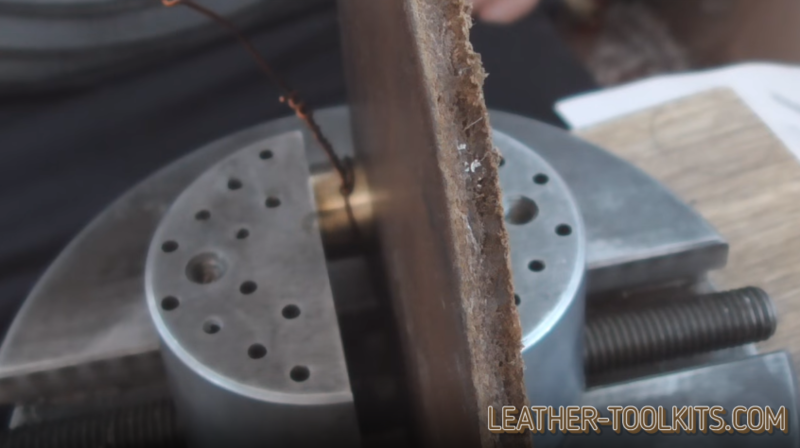 Crafting unique DIY items from sheepskin, like belts, trapper sheathes, bags, purses, horse saddles, cuff bracelets, dog collars, etc., you definitely would like to mark them with your personal signature. 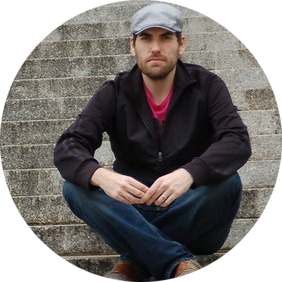 Your name, logo, a family emblem is desirable to prove your brand identity, validate the item cost, vindicate your craftsman’s reputation. 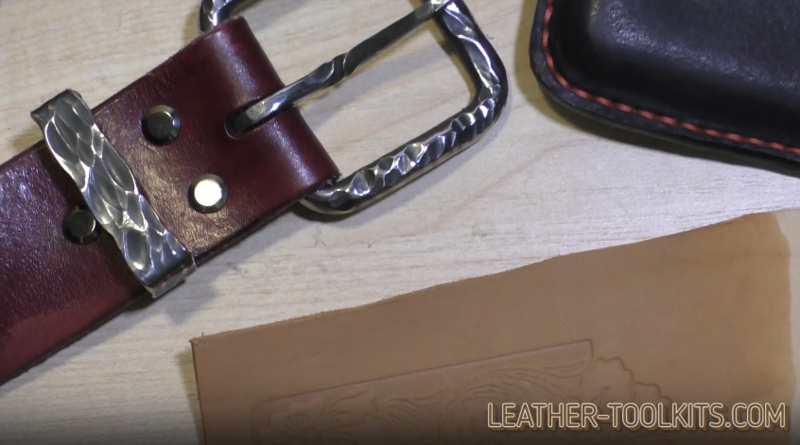 Preparing a unique gift for your close ones or customers, you may personalize it, transferring the honorees’ name or initials on the natural, top-quality wallet, belt, tooled cup or bag. Using the metal leather embossing stamps, you may consider the buyer’s tastes, preferences, hobbies, and occupation. Quite naturally, large corporations make their off-the-shelf items, using professional embossing machines. However, in your workshop or even at home, it’s possible to create an original textured pattern on the sophisticated leather article. Even if it’s pretty simple, it may be quite effective and meaningful. So, let’s start with preparing the essential tools and materials. 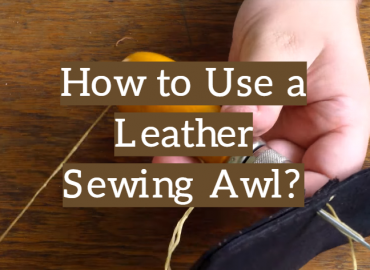 How to Chisel Sheepskin, Using Stamps for Leather? 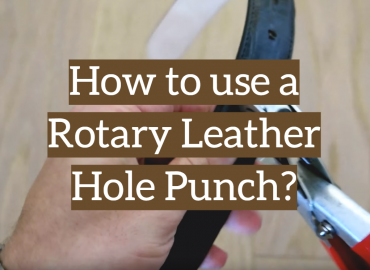 A stamp for leather looks like a punch or a perforator bit, quite long, metal pin. It is commonly banged with a rawhide or wooden mallet, to make dimples on the flexible, but solid material. You can buy a metal shape or charm in a craft store or on Amazon and customize it or add some significant mark details with the other tools. The template is to come with sharp edges to create a pronounced shape. A tapered design is desirable for a handy grip, but not completely essential. 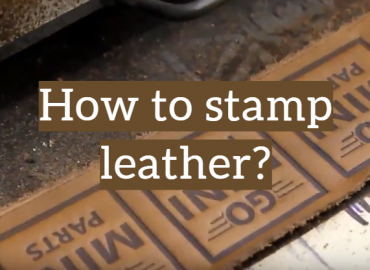 Flat leather embossing stamps (that look like square metal plates) and the 3-D ones that come with cylinders are also available on the market. 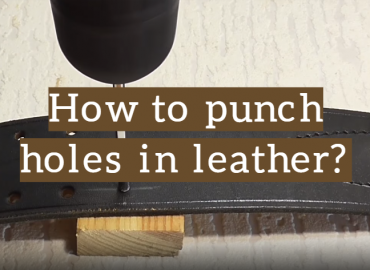 You can apply them, using a C-clamp or a wooden mallet, as usual. However, these molds are ready-made, standard, while the bin-type metal stamps let you create any pattern you want. Processing a linoleum blank, you can easily reproduce any pattern: flowers, dragons, pearls, or just your logo and initials. The linoleum surface is to be extremely hard. Just go deep to cut the necessary template. This way, you get a really unique pattern design. The work is beneficially creative but precise, and it takes only a couple of hours. Rubber stamps are commonly used with ink or embossing powder, but they are more applicable to paper. 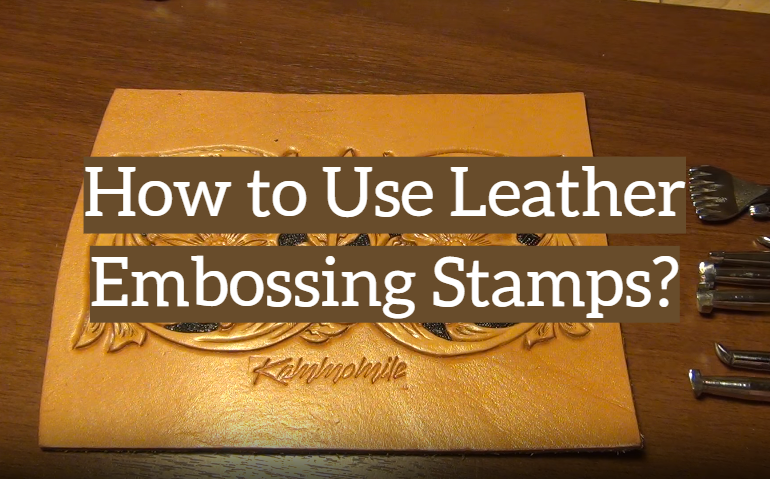 Additionally, embossing is performed on unfinished leather, durable and rough. Vegetable-tanned, wet material is suitable for making the continuous, whole-surface design, like alligator, geometric, top grain lines. In this case, high and heat pressure is applied. 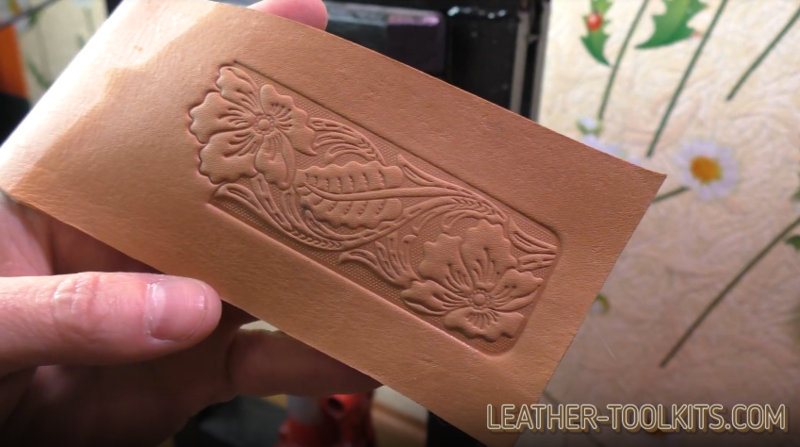 leather embossing stamps and dies themselves. You would certainly need a large granite or wooden bench to create a reliable work surface. A damp sponge or cloth is necessary to keep the natural material wet. It’s essential to reveal a neat, clean imprint. Goatskin finish is desirable to use, to protect the surface. When you cut the pattern on the linoleum block, the special cutters are required. They are to be thin enough, but various, with dissimilar-shaped blades, to draw the accurate lines. For example, a cuticle processing tool is useful for fine initial work with the letters. Larger ones are necessary to go deeper later. A pencil, a ruler, an outline on the piece of paper, a pen or permanent marker are always helpful, for any embossing method you select. Ink or acrylic paint is good to highlight the ready marks and letters. First of all, a good set of press-tools of various sizes and shapes is to be purchased and prepared. An experienced artisan would need a dozen of these sharp and strong tools for any details, from small letters to sizeable ornament sections. The most commonly used sizes are 2-6 mm (5/64” – 15/64”). However, beginners are recommended to start with 4-6 mm, and making sizeable, simple ornaments. Place a piece of sheepskin on the wooden board. Wet its back and top sides with a sponge. Leave for 10-15 minutes to dry. Polish the surface with the leather finish. If you are a beginner or making a unique pattern, it’s worth creating a pencil outline on the paper, initially. Lay it down on the surface and rub it by something, like a tool backside (preferably, rubber or plastic handle) gently, but with some pressure. A permanent marker or a black pen are not recommended to use on the goatskin surface, as it would be difficult to erase later. 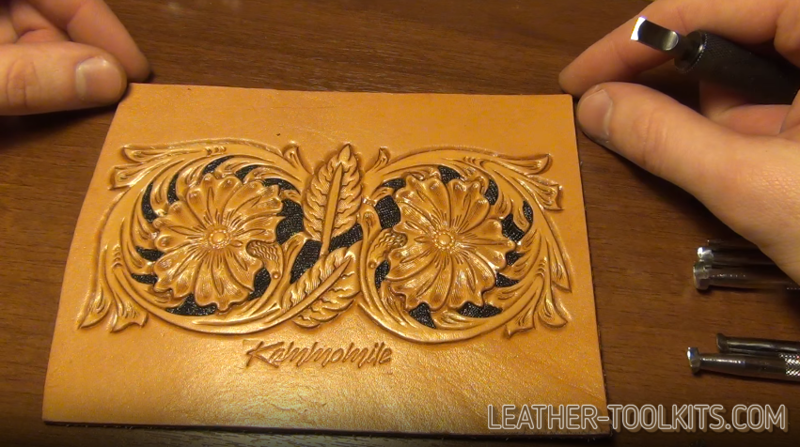 Skilled leatherworkers that make the same design several times, can emboss it by eye easily, without any outline. As the material is thick, it’s desirable to wet its both sides thoroughly and let it dry a bit. The press-tool is to be hit 2-3 times by a mallet, depending on the estimated garniture shape and depth. Several hits can be sufficient to compete for a small letter or an ornament part. Leverage on an embossing wheel to finalize the design, adding the special elements. The wheel is to be pressed firmly, consistently, making the ornament be the same deep in all its parts. Finally, add some finishing powder to protect the surface. Polish it with a piece of cloth. You can also use some acrylic paint (watered down) or ink, to make the letters more defined. Apply it on a dry surface with an extremely thin paintbrush. Allow your masterpiece dry and that’s all! But for processing the sheepskin with the tools directly, you can create a linoleum block. Just cut the necessary template and apply it as a leather embossing stamp, banging it firmly with a mallet. Glue a piece of hard linoleum into a wooden block. Transfer the unique outline on the top surface. Shape it, using a set of variously shaped and sized cutters. Use the block, striking it firmly with a mallet or hammer. This method is incredibly creative, as well, as you can make any design you want and transfer it to the soft and durable natural material. Thus, you can easily customize and personalize your DIY masterpieces, using ready and handmade stamps for leather. Metal tools or linoleum templates are helpful to transfer your logo, initials or name on the handicraft items. Additionally, it’s possible to make a unique gift, embossing the honoree name on the bracelet, belt or wallet.